every sunrise, they renew their hope. members, we see the changing American attitudes about marriage, work, and family. own people, their own family history documented within these pages. We read of Pam’s people and we remember our own. happen—and somehow we do what we can to survive. reader's hand. It’s just that good. intensity that compels you to remember and ponder them long after you finish [the book]. 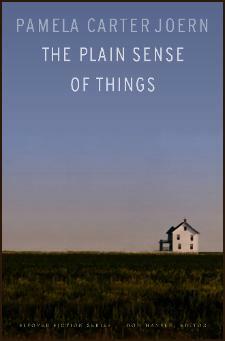 . .
Aug.-Sep. issue of BookWomen I wrote about her second novel, The Plain Sense of Things. Each is set in Nebraska and is about farm families who are connected to and shaped by the land. Things, is a real gem, maybe even a gem-and-a-half."